Vocal Coach|Voice Training,Voice over Training,Singing Classes. Announcement! New Vocal Coach Studio Website Coming Soon Featuring Online Coaching Services Through Skype! Please Bookmark This page And Check Back Often.. Need to record a project or showreel? Go no further Proworks-Audio can assist you! 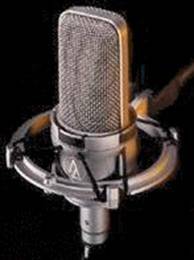 Visit our Recording Studio website. Bring out the best in you and your voice. Improve the quality of your presentation and communication skills. Discover the power within your vocal potential, projection, emotion and gesture. Discover the hidden power of breath and posture. Feel more confident with your voice using relaxation and confidence building techniques. Communicate and present yourself positively and effectively. It�s your voice, so make it your choice! ►Modern approach to voice training, communication & presentation services. ►Professional, experienced consultants & coaches. ►Workshops, seminars & 1 to 1 training available. ►Business workshops & seminars can be conducted at your business premises. ►Quality bespoke service designed to match your needs, image & industry. ►Other services include: Modern vocal tuition, creative visualisation techniques & interview skills. Professional audio consultant, specialising in conferencing & presentation production. Ready ? ���. ►3, ►2, ►1! We are here to assist you in unlocking the true potential of your voice, communication and presentation skills. You have the power to control your voice, the ability to relax and focus. Why not discover a new you through empowering your voice! A VOICE COMMUNICATION AND PRESENTATION CONSULTANCY FOR THE PUBLIC, BUSINESS AND CORPORATE MARKET SECTORS. Copyright � 2005-2010 [Proworks-Audio & vocalcoachstudio]. All rights reserved.